African War Zone... Ship Of Death! 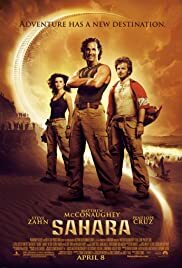 Sahara was a pretty good action movie in the same mold as Indiana Jones, Tomb Raider & National Treasure. I thoroughly enjoyed it, but it probably would not have worked as well without the comedic duo of Matthew McConaughey and Steve Zahn. Penélope Cruz pulled her weight as well. She reminded me so much of Salma Hayek that I would swear they are related. Treasure Hunters Dirk Pitt and Al Giordino (McConaughey & Zahn) manage to get their hands on a rare confederate coin, apparently which only 5 were made. It would have made quite a collector's item. Dirk has a hunch on where the ship it had originated from is now and also has a theory on how it got there, in the middle of the desert. 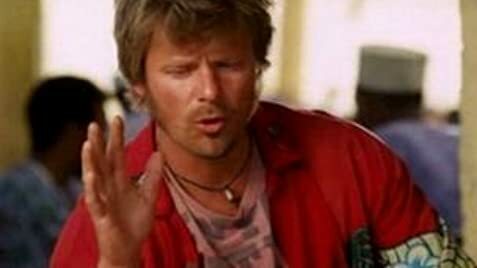 Dirk manages to convince his boss, Admiral Jim Sandecker (William H. Macy), to loan him his boat for 3 days to search for the missing ship. Before they get going, they run into two W.H.O. workers, one of who was the beautiful Eva Rojas (Penélope Cruz). They need a ride and manage to get on board with Dirk and Al, but by doing so, they get the attention of an African dictator, who wants to stop them before they get too close. There are quite a few action scenes and for what it was, I was entertained throughout the movie. More so than I would have though, which is why I waited so long to see it. Like I mentioned above, I do not think I would have enjoyed it as much without McConaughey. He added sort of a friendly charm to the movie and if that is not enough, Penélope Cruz should make up the difference. 61 of 102 people found this review helpful. Was this review helpful to you?